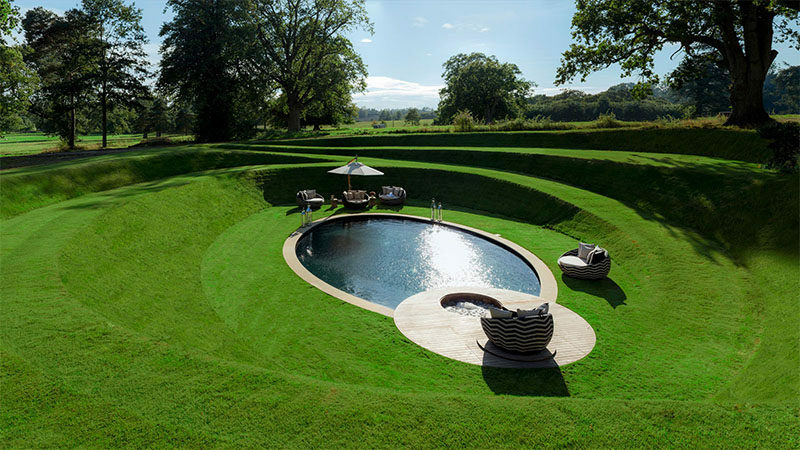 Located within the gardens of ‘The Walled Garden‘ vacation property in rural Suffolk, England, lies a swimming pool that’s unlike any other we’ve seen. 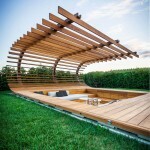 Normally, swimming pools are at ground level, but this swimming pool is sunken down into the garden, with a grassy path that circles around the pool being the only way to get there. 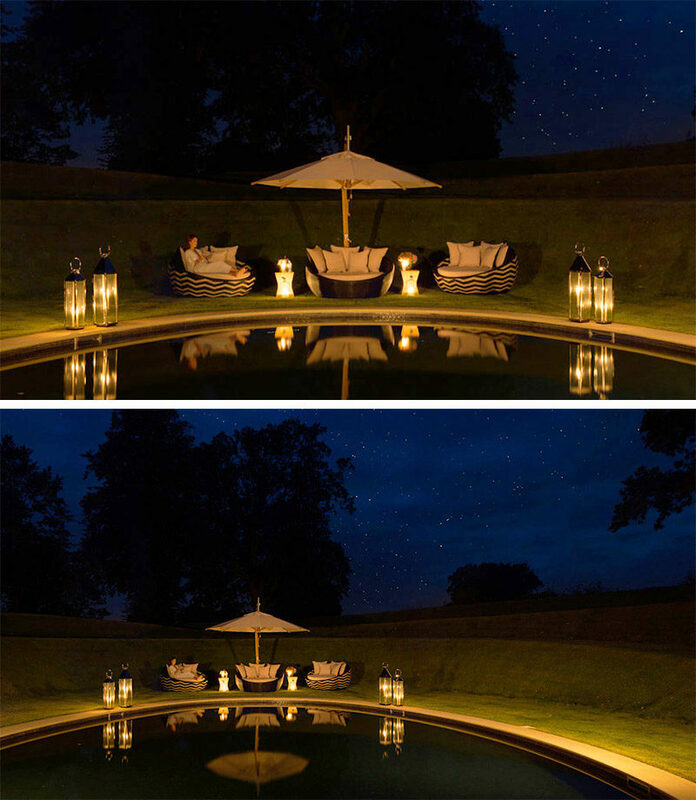 At night, lanterns light up the area and the grassy slopes provide privacy and add to the relaxed atmosphere of the space.